Shimul Dahr is one of the greatest success stories of LIMBS. Shimul lost his leg at 13 when he slipped on a banana peel. Due to poor medical treatment at the hospital by his hometown, his leg became infected, and was amputated. 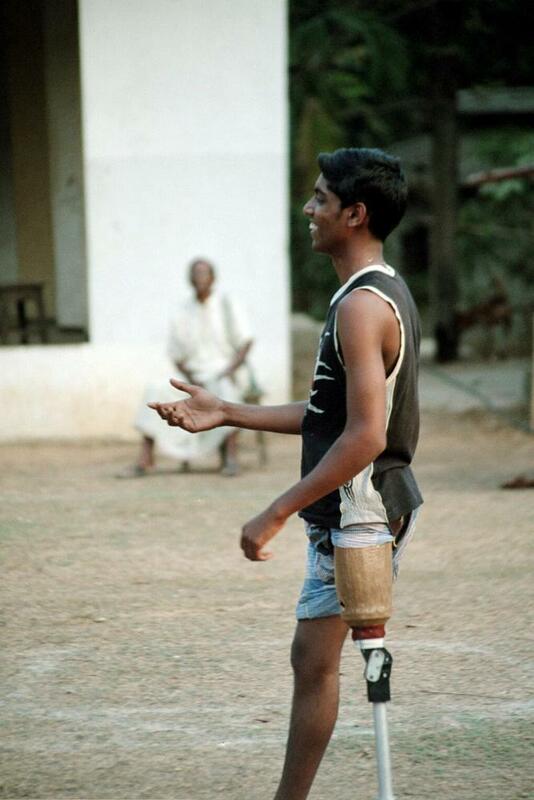 From 2001-2006, Shimul used a prosthetic leg fitted with a Jaipur Knee. During that five-year period, he had to have his prosthetic limb replaced two times, because it would wear down and break, leaving Shimul immobile and frustrated. Shimul was among the first patients fit with the LIMBS Knee at Memorial Christian Hospital (MCH) in Malumghat, Bangladesh. Since being fit, Shimul's life has been in a continual upswing. Instead of struggling to get to work, and having difficulty while working, Shimul walks every day to and from his job as a barber. There he consistently stands while cutting patients hair. Instead of being an outcast from society because of his missing limb, he has become a hardworking citizen, determined to live a positive life. Just this last year, he got married, and looks forward to continuing to running his business, and raising a family with his wife.